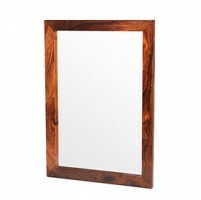 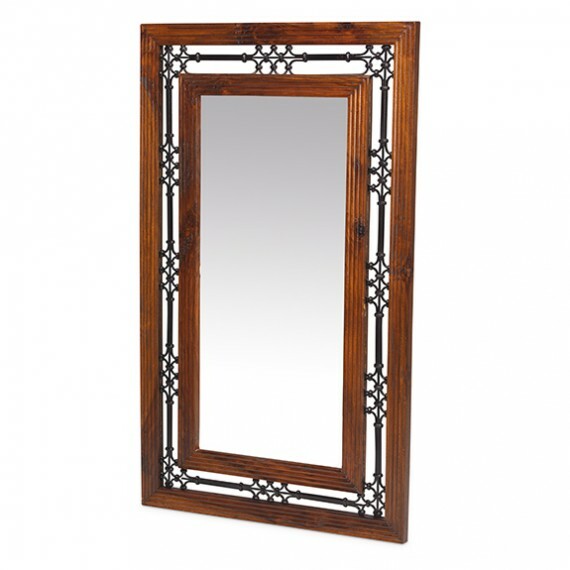 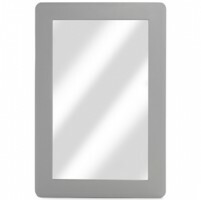 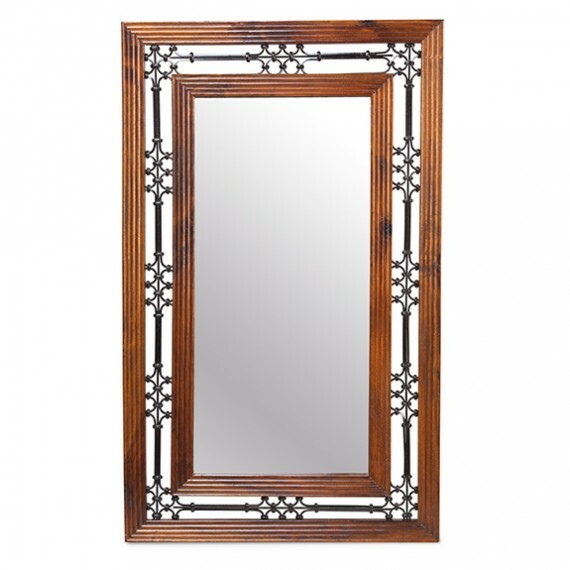 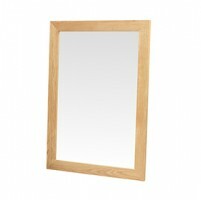 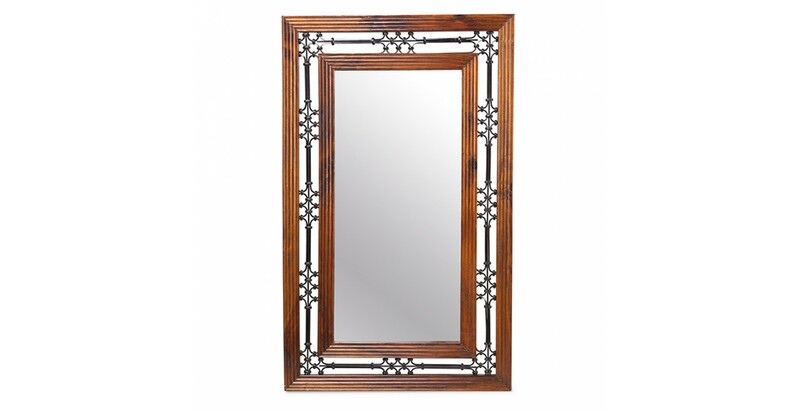 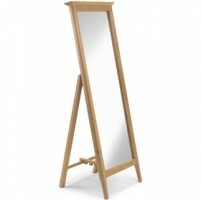 This striking mirror with its frame within a frame design will make an eye-catching feature for any wall in your home. 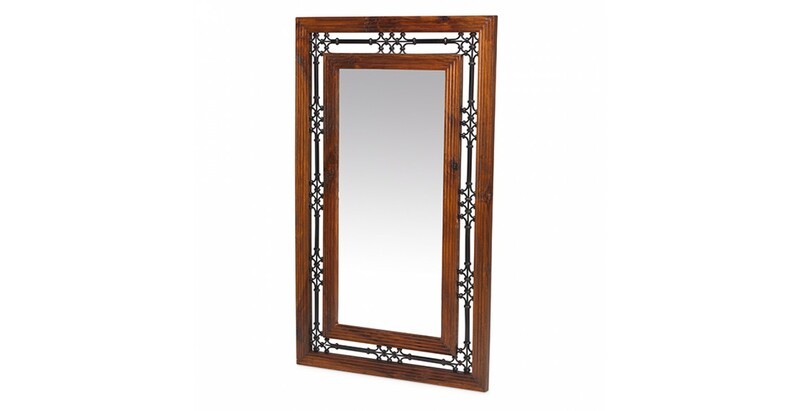 Distinctive iron portcullis work divides the handmade sheesham wood frames and the large mirror section will bounce light around to give the illusion of space. 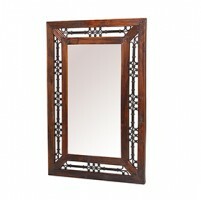 Hang it either portrait or landscape to suit and team it up with some other pieces from the Jali sheesham range if you really want to make an impression.